Chris Wondolowski, Helltown Beer Major League Soccer Player of the Year. 2012. 1. Chris played 92% of all available minutes for Supporters' Shield winner, San Jose Earthquakes. 1a. His 2012 aggregate goal total of 27 equals that of Roy Lassiter's 1996 league record. 2. Best in the league; Goals + Assists (22 G without 5 PKs + 7 A). 3. 2nd in MLS; Goals p90 minutes 0.70 (no PKs, >900 mins). 2nd only to teammate Alan Gordon. 4. 1st in SOG p90 (1.76), 3rd in total shots p90 (42.6% on frame). 5. Within the parameters of my player rating model - Chris floated to number one on April 23, 2012 and never let it go. 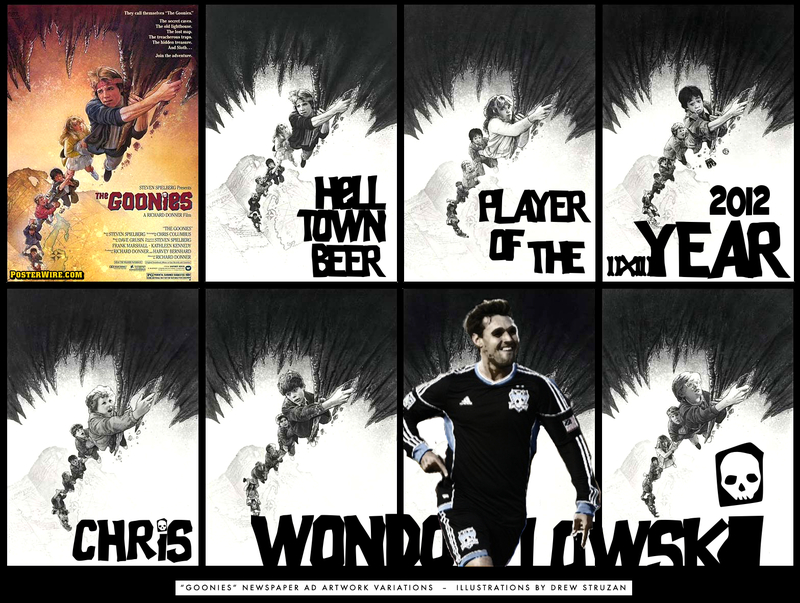 Chris was the leader of a San Jose team that adopted the "Goonies never say die" mantra this year. Head Coach Frank Yallop has successfully brought a English style of soccer to MLS and Wondo, with his savviness around the goal and exceptional movement, has really benefited from it. San Jose scored 2.12 goals per game this year, a solid third goal above the next best in the league. One of the more memorable moments for me this year was when John Terry, possibly the best English defender in a generation - complimented Wondo when he faced him during the 2012 MLS All-Star game (around the 17:40 min mark of that link). 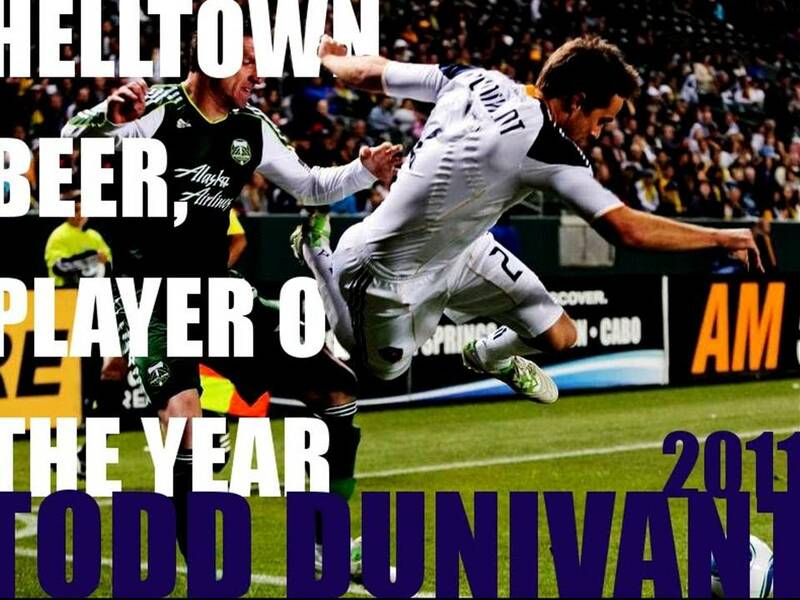 Last year's winner was Todd Dunivant, LA Galaxy. Todd finished 53rd on my list this year, missing 17% of possible minutes due to injury early on. It's notable that without both Dunivant and Gonzalez early in the year the Galaxy struggled. After finding themselves near the bottom of the table for the first quarter of the year, LA managed to finish the season 8th overall and 4th in the West. 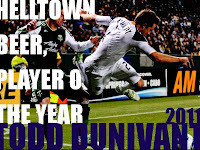 Due, in large part, to Todd Dunivant getting healthy. Note: Positions are as classified by "Stats, Inc".